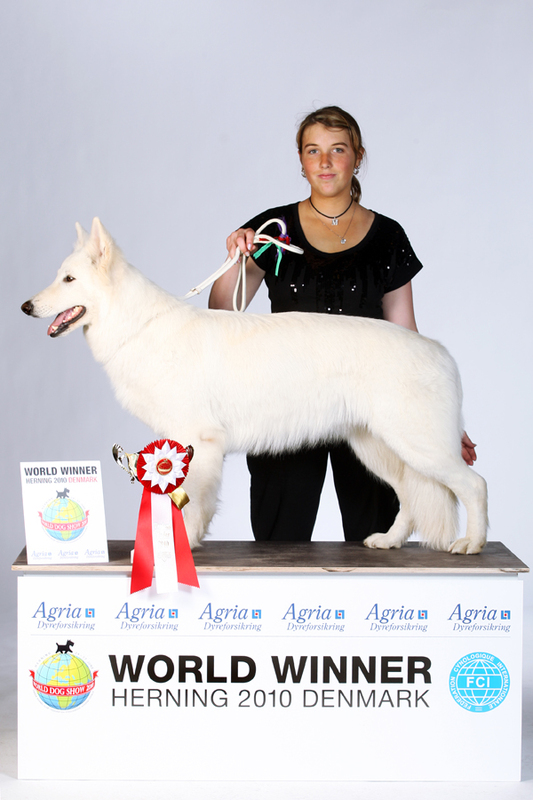 DtCH, RWSCH, BVWSCH Angel-Naomy of Atlin Mountain Blizzards is FCI WORLDWINNER 2010!!! She won the Champion Class (excellent 1) and got Best Female. 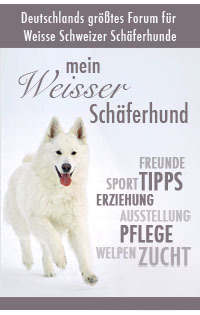 Naomy competed against 94 White Shepherds from all over Europe. Bluemoon of Atlin Mountain Blizzards came in 3rd (excellent 3) in Junior Class. A wonderful result for her first big show. Owner/Handler of both dogs is 19-year old Malou Wengenroth. Congratulations We are soooooooo proud of our golden team!